WHAT WOULD IT FEEL LIKE TO LIVE ATOP PALISADE HEAD, THE MAGNIFICENT ROCK FORMATION ON THE NORTH SHORE? THIS SERENE GETAWAY PERCHED ON A CLIFF HIGH ABOVE LAKE SUPERIOR . . . STATELY HAMPTONS SHINGLE STYLE LAKE SUPERIOR BEACH HOME. ONCE IS A LIFETIME OPPORTUNITY JUST 30 MINUTES NORTH OF DULUTH, MN. WITH ABSOLUTE STUNNING EAST FACING PANORAMIC . . . STATELY HAMPTONS SHINGLE STYLE LAKE SUPERIOR BEACH HOME. ONCE IN A LIFETIME OPPORTUNITY JUST 30 MILES NORTH OF DULUTH, MN. ABSOLUTE STUNNING PROPERTY, FACING EAST WITH . 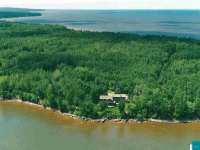 . .
A PREMIER CUSTOM BUILDER’S OWN PRIVATE ESTATE, SET AT WATERS EDGE ON LAKE SUPERIOR! JUST 18 MI TO . 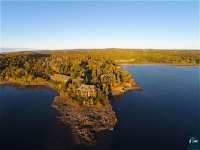 . .
A PREMIER CUSTOM BUILDER’S OWN PRIVATE ESTATE, SET AT WATERS EDGE ON LAKE SUPERIOR! 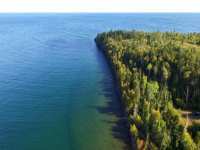 JUST 18 MI TO GRAND MARAIS, 4 TO DEVILS KETTLE FALLS, 15 TO ISLE ROYALE FERRY, 22 . . .
A PREMIER CUSTOM BUILDER'S OWN PRIVATE ESTATE, SET AT WATERS EDGE ON LAKE SUPERIOR! JUST 18 MI TO . . . MAGNIFICENT HAMPTONS STYLE RESIDENCE CLOSE TO TOWN AND THE AIRPORT. THIS METICULOUSLY CARED FOR PROPERTY INCLUDES NEARLY 450+ FEET OF SHORELINE WITH A PERMANENT 140 FOOT . 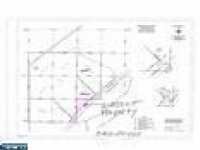 . .
PRICE INCLUDES 6 LOTS, HOUSE STRUCTURE; YOU FINISH THE INTERIOR. UNIQUE LAKE SUPERIOR MANSION READY TO BE COMPLETED TO SUIT YOUR NEEDS AND TASTES. 1000' OF BEAUTIFULLY . . .
PRICE INCLUDES 6 LOTS. HOUSE STRUCTURE, YOU FINISH THE INTERIOR. UNIQUE LAKE SUPERIOR MANSION READY . . . ATTENTION LAKE SUPERIOR BUYERS OR THINKERS ABOUT BEING LAKE SUPERIOR BUYERS!!! THIS MAY WELL BE THE . . .
A SANCTUARY IN THE HEART OF DOWNTOWN LA POINTE. SUMMER IN LA POINTE MAY BE BUSY BUT ONCE YOU ENTER THE GATE OF THIS PROPERTY YOU WILL ENJOY PEACE AND QUIET IN THIS . . . 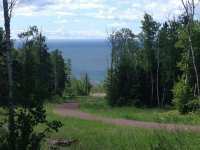 HIGHEST POINT IN BAYFIELD COUNTY FOR MOST INCREDIBLE VIEWS FROM HOME AND GUEST CABIN! PRIVATE 52 . . . HIGHEST POINT IN BAYFIELD COUNTY FOR THE MOST INCREDIBLE PANORAMIC VIEWS! 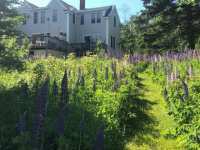 52 ACRES OF PRIVACY & . . . 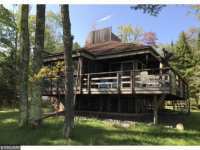 HIGHEST POINT IN BAYFIELD COUNTY FOR MOST INCREDIBLE VIEWSFORM HOME AND GUEST CABIN! PRIVATE 52 . . . 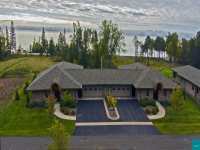 ENJOY STRIKING VIEWS OF LAKE SUPERIOR AND SEVERAL OF THE APOSTLE ISLANDS FROM THIS ARCHITECTURALLY DESIGNED HOME. BRIGHT AIRY FLOOR PLAN WITH CUSTOM CHERRY CABINETRY, . . . 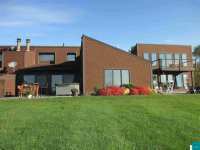 ENJOY STRIKING VIEWS OF LAKE SUPERIOR AND SEVERAL APOSTLE ISLANDS FROM THIS ARCHITECTURALLY . 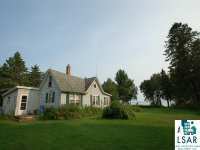 . .
WELL BUILT AND REMARKABLY MAINTAINED LAKE SUPERIOR HOME ON MADELINE ISLAND. THIS ONE IS A KEEPER! 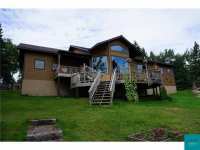 THE HOME BOASTS FANTASTIC VIEWS OF THE LAKE AND THE ISLANDS AND . . .
FABULOUS VIEWS OF LAKE SUPERIOR LOOKING OVER THE 200’ OF SHORELINE SITS THIS REMARKABLE EXAMPLE OF A TIMBER FRAME BUILT HOME. ENTERTAINING AND HOUSING GUESTS WILL NOT . . . 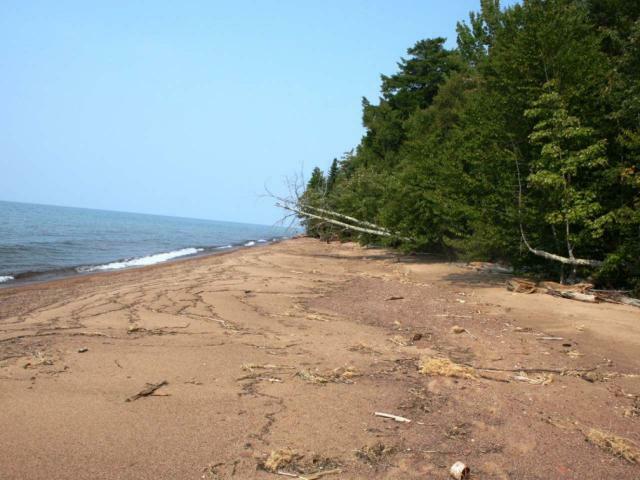 THIS PROPERTY IS PART OF SILVER CLIFF BEACH HOME DEVELOPMENT THAT OFFERS 560' OF BEAUTIFUL LAKE SUPERIOR ACCESSIBLE BEACH FRONT. THIS TWIN HOME IS PART OF AN ASSOCIATION . 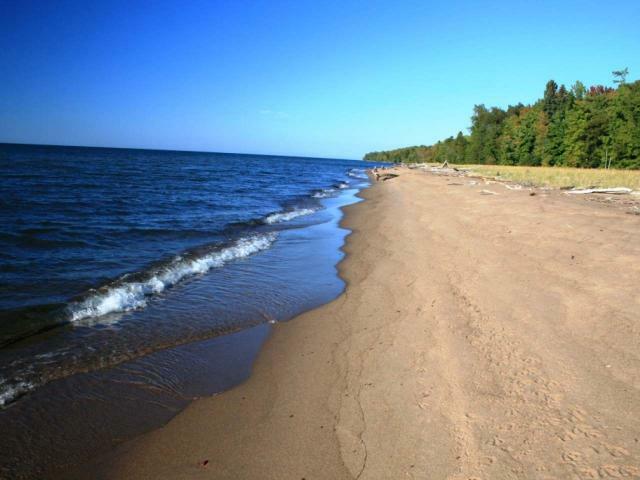 . .
OLD WORLD CHARM AND CRAFTSMANSHIP MEET 300’ OF LAKE SUPERIOR BEACH, ON 4.36 ACRES! HARD TO FIND . 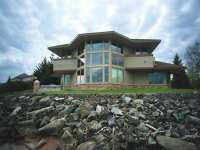 . .
PRIME WATERFRONT HOME ON NORTH SHORE ROAD IS EQUIPPED WITH A WIDE ARRAY OF PREMIUM FEATURES, INCLUDING STONE FIREPLACE WITH MASSIVE BURL LOG MANTEL, PREMIUM VELUX . 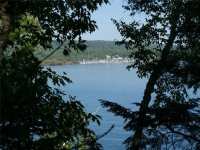 . .
THREE +/- ACRES WITH BREATHTAKING MILLION-DOLLAR VIEWS OF FIVE ISLANDS & LOCATED NEXT TO SCHOONER BAY MARINA IN A NATURAL HARBOR. GATEWAY TO TWENTY-TWO APOSTLE ISLANDS. . . . TEN MILE POINT-66 ACRES. 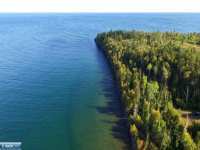 OVER 2,021 FT AND 66 ACRES OF BEAUTIFUL LAKE SUPERIOR FRONTAGE. 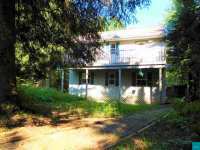 THIS PROPERTY IS LEVEL TO THE WATER WITH LARGE HEMLOCK AND MAPLE TREES ALONG THE . . . SPECTACULAR LAKE SUPERIOR HOME IS A GEM ALONG THE SHORE BETWEEN BAYFIELD & WASHBURN. 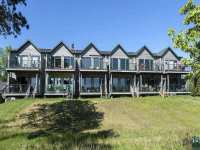 WITH HUGE LAKESIDE WINDOWS & DECKS, ALMOST EVERY ROOM OVERLOOKS THE LAKE, LONG . . .
WOW! 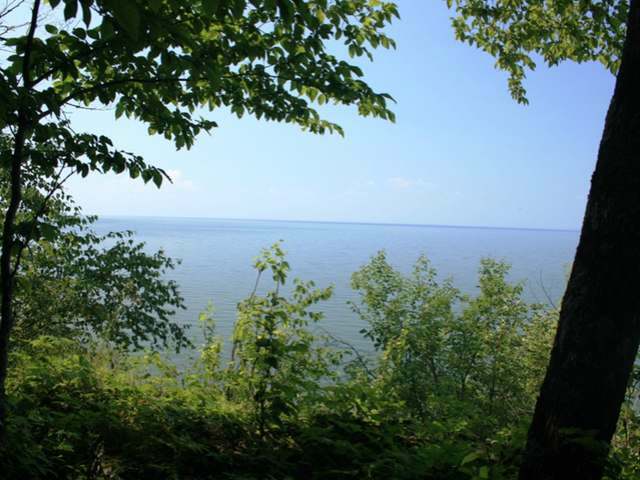 ENJOY THE FABULOUS VIEWS OF LAKE SUPERIOR, 'THE GREATEST LAKE', FROM THIS WONDERFULLY DESCRIPTIVE PROPERTY. MOTHER NATURE WILL TANTALIZE YOUR SENSES WITH AMAZING . . .
WOW! 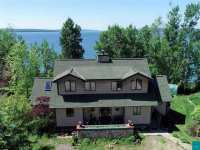 ENJOY THE FABULOUS VIEWS OF LAKE SUPERIOR, "THE GREATEST LAKE", FROM THIS WONDERFULLY DESCRIPTIVE PROPERTY. MOTHER NATURE WILL TANTALIZE YOUR SENSES WITH AMAZING . . .
WOW! ENJOY THE FABULOUS VIEWS OF LAKE SUPERIOR'S SPECTACULAR SUNRISES &AMP; MOONLIGHT OVER THE LAKE. THIS UNIQUE PROPERTY FEATURES A YEAR-ROUND 2,016 SF HOME, A FULL . . . THIS TRULY ONE OF A KIND LAKE SUPERIOR LOG HOME HAS IT ALL! THE LAKE FRONTAGE IS A VERY RARE FIND WITH YOUR OWN PRIVATE BROWNSTONE POINT FOR SWIMMING, KAYAKING, OR JUST . . . 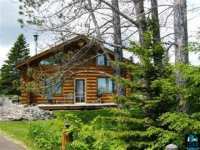 THIS TRULY ONE OF A KIND LAKE SUPERIOR LOG HOME HAS IT ALL! VERY RARE FIND WITH YOUR OWN PRIVATE . . . 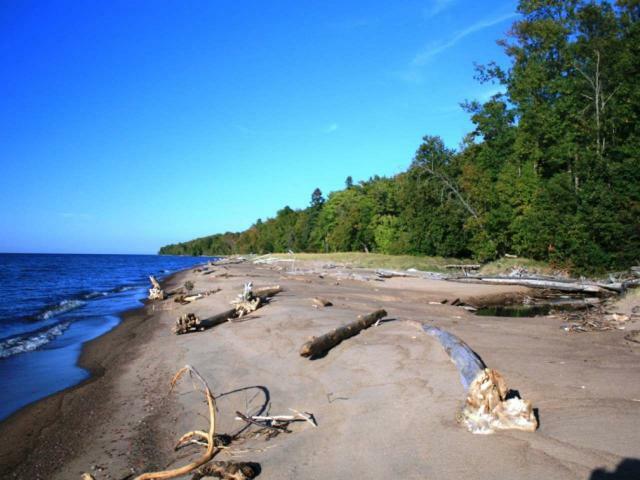 TEN MILE POINT - 110 ACRES OVER 678 FEET AND 110 ACRES OF BEAUTIFUL LAKE SUPERIOR LEVEL WHITE SAND BEACH FRONTAGE. THIS PROPERTY HAS WESTERN EXPOSURE, A VIEW OF THE . . . 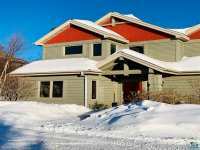 STUNNING CONTEMPORARY HOME DESIGNED FOR THE COMFORTABLE LIFESTYLE ON LAKE SUPERIOR WITH 330 FEET OF PRIVATE SANDY BEACH IS A ONE OF A KIND HIDDEN TREASURE! THE OPEN . . . THIS 2000 SQ. FT. LUXURY HOME IS A MUST SEE!! THE 1ST FLOOR OFFERS A SPACIOUS & OPEN FLOOR PLAN WITH UNPARALLELED VIEWS OF LAKE SUPERIOR AND A FIREPLACE IN THE LIVING . . . CERTAINLY A RARE FIND! 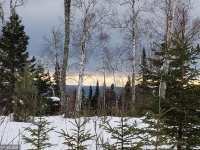 A LAKE SUPERIOR PROPERTY THAT IS WALKING DISTANCE TO DOWNTOWN GRAND MARAIS. THERE IS A MAIN HOME WITH A DETACHED 2+ CAR GARAGE AS WELL AS A NEWER . . . THIS COTTAGE IS NESTLED IN THE WOODS WITH A VIEW OF LAKE SUPERIOR. THE COVE AT COVE POINT LODGE IS A HIDDEN TREASURE WITH A WALKING PATH TO THE POINT, KAYAK OR CANOE . . . 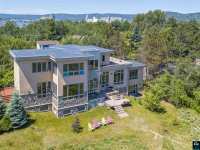 EXCEPTIONAL VIEWS OF LAKE SUPERIOR! COME AND SEE FOR YOURSELF THIS AMAZING HOME WITH UNPARALLELED VIEWS FROM THE VAULTED LIVING ROOM FEATURING A WOOD BURNING, STONE . . . 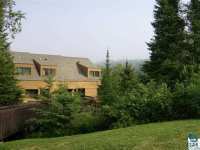 EXCEPTIONAL VIEWS OF LAKE SUPERIOR! COME AND SEE FOR YOURSELF THIS AMAZING HOME WITH UNPARALLELED . 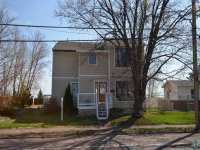 . .
PART STORE-FRONT, PART MANSION, PART RAW LAND W/200 FT OF LAKE SUPERIOR - THIS IS A GREAT . 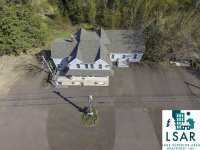 . .
PART STORE-FRONT, PART MANSION, PART RAW LAND W/200 FT OF LAKE SUPERIOR - THIS IS A GREAT OPPORTUNITY FOR AN ENTREPRENEUR! 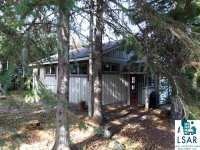 THIS 6+ ACRE NORTHWOODS RETREAT HAS 6 BEDROOMS . . . 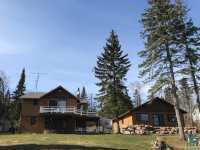 THIS 3 BEDROOM, 3 BATHROOM UNIT AT LUTSEN RESORT IS THE PERFECT LAKE SUPERIOR GETAWAY FOR YOU AND . 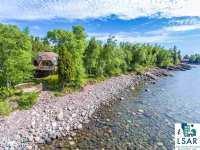 . .
GEODESIC DOME HOME ON LAKE SUPERIOR WHICH IS PRICED TO SELL! 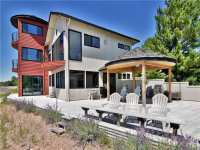 OPEN CONCEPT KITCHEN, LIVING & DINING, ALL WITH SPECTACULAR VIEWS OF THE LAKE. ACCOMMODATES LARGE GATHERINGS . . . 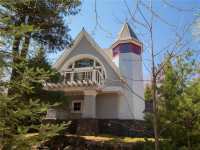 UNIQUE AND QUALITY BUILT LAKE HOME ON THE SOUTH SHORE OF LAKE SUPERIOR. THE LOCATION IS A TALKING POINT IN ITS SELF...LOCATED NEAR THE VERY END OF BARK POINT WHICH IS A . . . 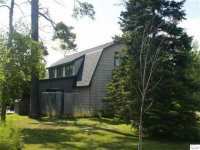 WATERS EDGE COTTAGE TUCKED INTO BEAUTIFUL CHICAGO BAY ON LAKE SUPERIOR JUST NORTH OF GRAND MARAIS. . . . 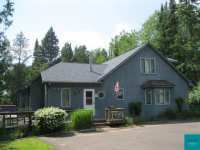 WATERS EDGE COTTAGE TUCKED INTO BEAUTIFUL CHICAGO BAY ON LAKE SUPERIOR JUST NORTH OF GRAND MARAIS. TOTALLY REMODELED BY MASTER BUILDER CLARENCE KEMP, THIS YEAR ROUND . . . THIS IS A SPECIAL LISTING HOMES IN THIS LOCATION RARELY COME ON THE MARKET. THE MAIN CABIN FEATURES 4 BEDROOMS, 2 BATHS (PLUS OUTDOOR SHOWER) WITH A COMFORTABLE . . . 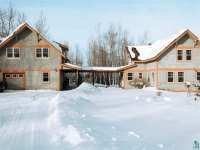 THIS IS A 3 BEDROOM, 3 BATHROOM WITH AN ADDITIONAL SLEEPING LOFT AT LUTSEN RESORT WITH AMAZING RENTAL VERSATILITY. THE INGENIOUS FLOOR PLAN ALLOWS ONE, TWO, OR ALL THREE . . . 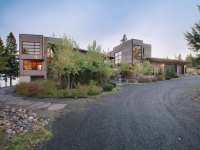 DESIGNED BY ARCHITECT IRWIN KILSTOFTE, THIS UNIQUELY-DESIGNED HOME OFFERS A SUPERB LAKE SUPERIOR VIEW, NUMEROUS AMENITIES, RICH STYLE AND APPEALING FUNCTIONALITY. . . .
BE SURE TO TAKE A LOOK AT THE VIRTUAL TOUR! THIS IS A 3 BEDROOM, 3 BATHROOM WITH AN ADDITIONAL . . . 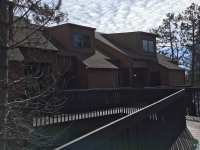 THIS BURLINGTON BAY LAKEHOME IS A 3 BEDROOM LAKESIDE CONDOMINIUM TOP FLOOR PENTHOUSE UNIT. THIS UNIT FEATURES OVER 1,700 SQ FT OF LIVING SPACE INCLUDING LEDGE-STONES . . . THE MOST COVETED LOCATION ON THE ENTIRE NORTH SHORE! 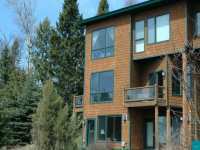 THIS 2 STORY TOWNHOME FACES THE GRAND MARAIS . . .
TOP NOTCH CORNER UNIT AT THE PREMIER BLUEFIN BAY RESORT, RIGHT NEXT TO THE BLUEFIN BAY GRILLE! THIS . . . 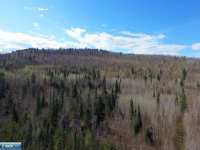 VERY UNIQUE LAKE SUPERIOR PARCEL WITH EASY ACCESS TO SAND BEACH AND APPROXIMATELY 430 FEET OF FRONTAGE ON LAKE SUPERIOR AND 1600 FEET OF FRONTAGE ON FISH CREEK. . . . CHECK OUT THE VIRTUAL TOUR! HERE IS AN OPPORTUNITY TO OWN YOUR SLICE OF LAKE SUPERIOR SHORELINE AT . . .
ONE OF THE PRETTIEST LAKE SHORE LOTS ON MADELINE ISLAND INCLUDES THIS VINTAGE HOME IN NEED OF A LITTLE TLC. PARTIAL BASEMENT AND MAIN ENTRY MAY NEED TO BE REMOVED BUT . 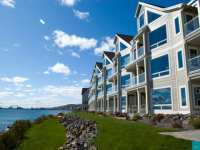 . .
TAKE IN MAGNIFICENT SUNSET VIEWS OF LAKE SUPERIOR FROM THIS 2 BEDROOM 2 BATH PENTHOUSE CONDO WHICH SLEEPS SIX. CONDO BOASTS A VAULTED CEILING, LIVING ROOM WITH QUEEN . . . 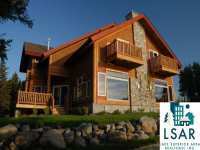 THIS IS A 3 BEDROOM, 3 BATHROOM WITH AN ADDITIONAL SLEEPING LOFT AT LUTSEN RESORT WITH AMAZING . 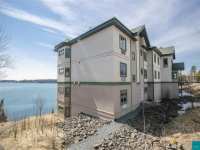 . .
LAKE SUPERIOR TOP FLOOR PENTHOUSE SUITE WITH VACATION RENTAL OPPORTUNITIES! THE SUITE IS COMPRISED OF 2 ADJOINING UNITS OVERLOOKING BURLINGTON BAY. YOU AND YOUR GUESTS . . . WAITING FOR THAT PERFECTLY UPDATED LAKE SUPERIOR TOWNHOUSE, OVERLOOKING THE BAY & AND WASHBURN MARINA? THIS IS IT! 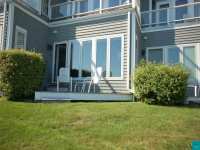 JUST STEPS FROM THE WATERFRONT WALKING TRAIL, BEACHES, . . . THE LAKESIDE CONDOMINIUMS ARE IN A GREAT LOCATION NEAR THE MARINA AND UNIT 103 HAS A SOLID RENTAL HISTORY. THIS SPACIOUS CONDO FEATURES A COMFORTABLE GREAT ROOM WITH A . . . THE ULTIMATE IN PRIVACY, THIS WELL LOVED FAMILY HOME HAS A LOT TO OFFER! 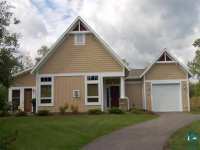 LOCATED IN FUN AND FRIENDLY CORNUCOPIA YOU WILL LOVE THE COMMUNITY AND ENERGY. FROM YOUR . 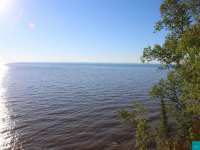 . .
LAKE SUPERIOR VIEWS AND EASY WATER ACCESS - WHAT MORE COULD YOU ASK FOR? 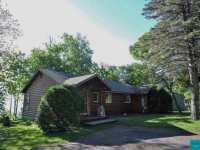 LOCATED BETWEEN BAYFIELD AND WASHBURN, THIS HOME IS PERFECT FOR YOU YEAR-ROUND RESIDENCE OR . 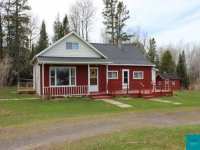 . .
3 BDRM, 1 BATH TRADITIONAL COUNTRY HOME ON 8.43 ACRES WITH 225' OF FRONTAGE ON LAKE SUPERIOR. THIS HOME HAS BEEN BEAUTIFULLY PRESERVED. THERE IS ALSO A TWO CAR DETACHED . . . 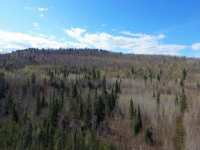 EXTRA LARGE LAKE SUPERIOR PARCEL WITH POTENTIAL FIXER UPPER OR AMPLE SPACE TO BUILD YOUR DREAM HOME. 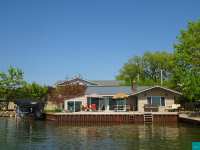 OVER 335 FT. OF ROCKY SHORELINE WITH CONCRETE DOCK FROM ORIGINAL . 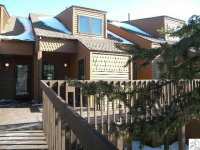 . .
GORGEOUS LAKE VIEWS FROM EVERY LEVEL OF THIS SHARPLY-REMODELED LAKE SUPERIOR TOWNHOME. 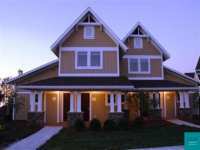 QUALITY FINISHES INCLUDING GRANITE, WOOD AND TILE FLOORS, MAPLE CABINETS, PLUS . . . 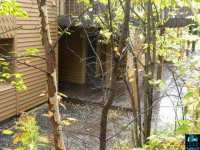 THIS LOVELY CONDO IS LOCATED ON THE 1ST FLOOR AND OFFERS A SLIDING GLASS DOOR TO PATIO WITH EASY ACCESS TO THE LAKE SUPERIOR BEACH. ALSO FEATURING A DECK FOR MORNING . 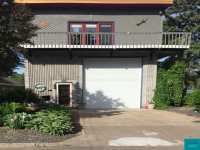 . .
SECOND FLOOR 2 BEDROOM/2 BATH CONDO STEPS TO LAKE SUPERIOR WITH EXQUISITE VIEWS OF THE APOSTLE ISLANDS... LOFTED CEILINGS, HARDWOOD FLOORS, FIREPLACE AND DECK... LOCATED . . .
BAYFIELD TOWNHOME IN WATERFORD ON THE BAY. WALKING DISTANCE ALONG THE BROWNSTONE TRAIL TO DOWNTOWN . 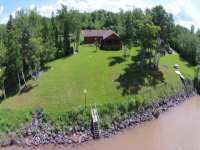 . .
OVER 727 FT AND 14 ACRES OF BEAUTIFUL LAKE SUPERIOR FRONTAGE. 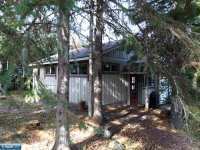 THIS PROPERTY IS LEVEL TO THE WATER WITH LARGE HEMLOCK AND MAPLE TREES ALONG THE WAY. MULTI-COLORED STONE . 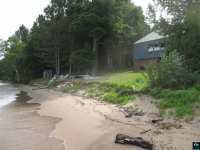 . .
RARE, HARD TO FIND LAKE SUPERIOR SAND BEACH PROPERTY-- APPROXIMATELY 200' OF WATER FRONTAGE WITHIN STEPS OF YOUR BACK DOOR. 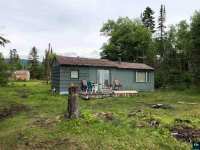 QUAINT, ONE LEVEL PROPERTY, WITH A . . .
543 FEET OF LAKE SUPERIOR ON NEARLY 5 ACRES OF LAND AWAIT A NEW OWNER. NEW DRIVEWAY AND CULVERT, USABLE CABIN OR A WONDERFUL OPPORTUNITY TO BUILD SOMETHING NEW AND . . .
JAW DROPPING VIEWS OF ARTIST POINT AND LAKE SUPERIOR'S EAST BAY! 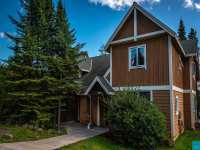 IN THE HEART OF DOWNTOWN GRAND MARAIS, THIS CONDO WILL BE A FABULOUS GETAWAY WHEN YOU ARE IN THE AREA . . . ABSOLUTELY GEORGEOUS 200 FT OF LAKE SUPERIOR SHORELINE. 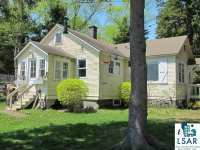 MAIN HOUSE WITH 2 BEDROOMS, LARGE LAKESIDE LIVING AREA THAT WALKS OUT TO DECK WITH HOT TUB, SUNROOM , LARGE . . . ABSOLUTELY GEORGEOUS 200 FT OF LAKE SUPERIOR SHORELINE. 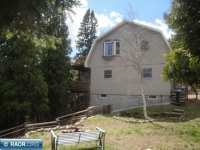 MAIN HOUSE WITH 2 BEDROOMS, LARGE LAKESIDE . 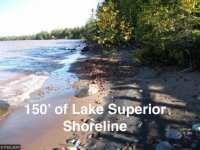 . .
200 FT OF LAKE SUPERIOR SHORELINE. 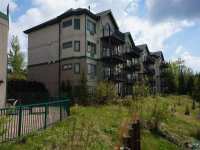 MAINTENANCE FREE 2 BEDROOM HOME WITH LARGE LAKESIDE LIVING AREA . . .
"WELCOME TO LAKE SUPERIOR" IS WHAT YOU'LL SAY ABOUT THIS WARM, TASTEFUL & BEAUTIFUL, COMFORTABLE & LIGHT-FILLED END-UNIT ASPENWOOD TOWNHOME. A THOUGHTFUL LAYOUT ALLOWS . 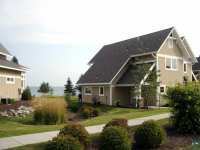 . .
TWO-BEDROOM, TWO BATH LAKESIDE CONDOMINIUM AT SUPERIOR SHORES RESORT. THIS TOP FLOOR UNIT FEATURES EXCEPTIONAL VIEWS OF LAKE SUPERIOR FROM THE DECK, LIVING ROOM AND BOTH . . .
TWO-BEDROOM, TWO BATH LAKEHOME BEING SOLD FULLY FURNISHED. 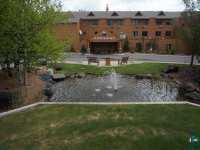 LOCATED AT THE END OF A CUL-DE-SAC, THE UNIT FEATURES EXCEPTIONAL PRIVACY FOR A RESORT PROPERTY. AMENITIES . . . 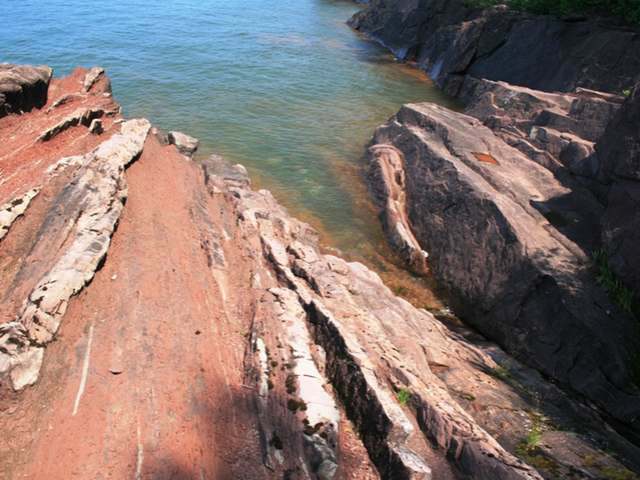 SPECTACULAR VIEWS OF LAKE SUPERIOR! COMPLETELY UPDATED TOP TO BOTTOM (DOWN TO THE STUDS) IN 2009, WITH A NEW ROOF, "ANDERSON" WINDOWS, HALF LOG SIDING WITH HAND HEWED . 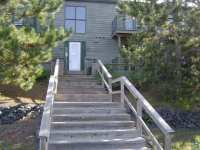 . .
UNIT 32 AT BLUEFIN BAY IS A ROMANTIC RETREAT FOR YOUR FAMILY AND FRIENDS. THE KITCHEN HAS BEEN RECENTLY REMODELED WITH BEAUTIFUL CUSTOM CABINETRY, GRANITE COUNTER-TOPS, . . . BUILT IN 2003, THIS ONE LEVEL HOME HAS A WALKOUT, FINISHED BASEMENT. BEAUTIFUL SHORELINE ON LAKE . . . BUILT IN 2003, THIS ONE LEVEL HOME HAS A WALKOUT, FINISHED BASEMENT. 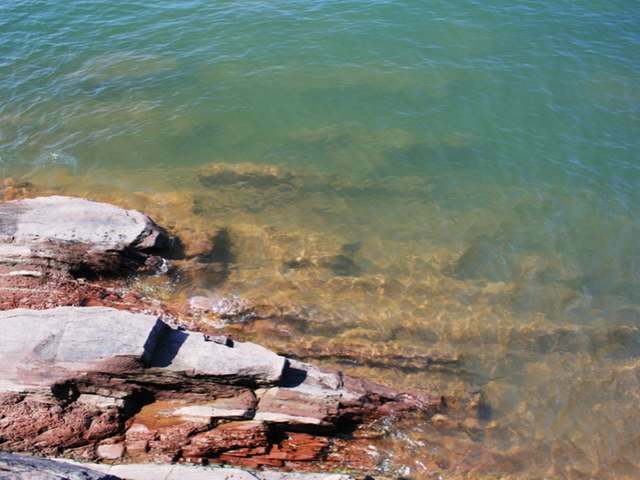 BEAUTIFUL SHORELINE ON LAKE SUPERIOR. LEVEL FRONTAGE TO THE WATER. SOME OF THE BEST FISHING ON THE . . . 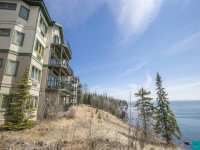 THIS CONDO IS LOCATED AT SUPERIOR SHORES RESORT ON THE TOP FLOOR OF THE MAIN BUILDING WITH A SPECTACULAR VIEW OF LAKE SUPERIOR. THE 2-BEDROOM UNIT, WITH GAS FIREPLACE . . . AFFORDABLE LAKE SUPERIOR PROPERTY! 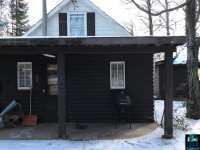 QUAINT, YEAR-ROUND CABIN PERCHED ON RIGHT ON THE LAKESHORE! THIS IS THE PLACE TO STORM-WATCH LAKE SUPERIOR'S WAVES! MAIN FLOOR BEDROOM . . . STEP INSIDE TO CHARMING UNIT 26. THIS ONE BEDROOM CONDO HAS FULL SOUTHERN EXPOSURE AND RIGHT ON LAKE SUPERIOR. 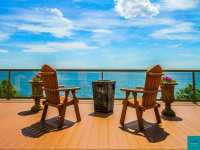 TAKE IN THE SUNRISE AND SUNSETS FROM YOUR PRIVATE DECK AND . 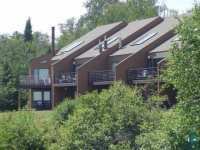 . .
PRIME OPPORTUNITY TO OWN A TURN-KEY CONDOMINIUM AT BAYFIELD ON THE LAKE. 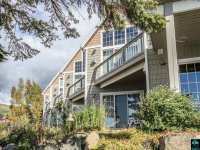 LOCATED ON THE WATERFRONT IN THE HEART OF BAYFIELD, THIS COZY END UNIT OFFERS AMAZING VIEWS OF . 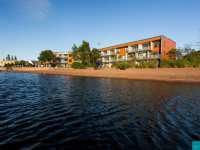 . .
SECOND FLOOR TWO-BEDROOM LAKESIDE LODGE CONDOMINIUM AT SUPERIOR SHORES. 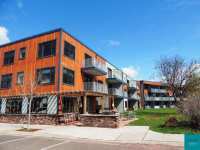 LOCK-OUT DESIGN MEANS THAT THE UNIT CAN BE OCCUPIED AS A TWO-BEDROOM OR INDEPENDENTLY AS A . . .
FULL OWNERSHIP OF A TWO-BEDROOM/TWO BATH CONDOMINIUM WITH STUNNING VIEWS OF LAKE SUPERIOR! 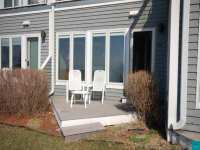 USE THE UNIT FOR PERSONAL USE, OR ADD IT TO THE BURLINGTON BAY RENTAL POOL . . . THIS CABIN IS MOVE IN READY, SO DON’T WAIT TOO LONG IF YOU ARE LOOKING FOR THAT FAMILY WEEKEND GETAWAY TO GET AWAY FROM THE STRESSFUL WEEKDAYS! PRIVATE NORTHWOODS LAKE . . . 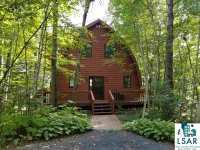 THIS SINGLE STORY LOG CABIN IS NOT ONLY THE MOST CHARMING GETAWAY, IT ALSO OFFERS INCREDIBLE RENTAL INCOME. 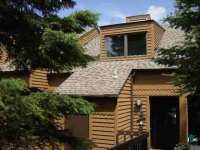 THE BEAUTIFUL LOG CONSTRUCTION, VAULTED CEILINGS W/LOFT, OPEN . . .
ABSOLUTLEY BREATHTAKING PANORAMIC VIEWS OF THE BIG LAKE THEY CALL GITCHE GUMEE. 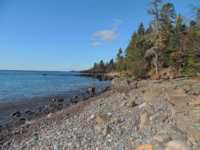 JUST UP THE SHORELINE FROM FABLED LITTLE GIRLS POINT THIS LAKE SUPERIOR PARCEL OFFERS . . . 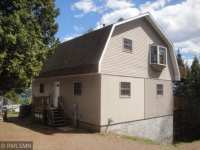 CUTE, COZY AND IMMACULATE PERCHED UPON 255 FEET OF LAKE SUPERIOR FRONTAGE...ADD UP TO A GOLDEN "OPPORTUNITY"! NICELY APPOINTED HOME/CABIN WITH BIG WINDOWS THAT BRING IN . . . 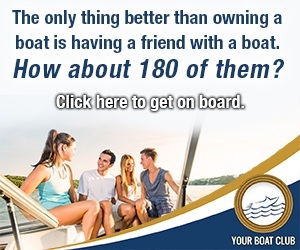 THIS IS AN AMAZING OPPORTUNITY TO VACATION IN STYLE AND FREE OF ANY HASSLE! 1/4 SHARE OF UNIT 16 AT . . .
1/4 OWNERSHIP OPPORTUNITY AT LARSMONT COTTAGES. 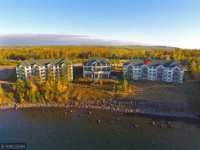 THE MOST SUCCESSFUL SHARED OWNERSHIP DEVELOPMENT IN MINNESOTA, A PRIVATE 40-ACRE RESORT ON 1,300 FEET OF LAKE SUPERIOR . 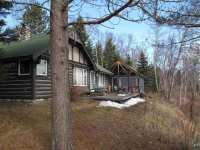 . .
1/4 SHARE OWNERSHIP IN THIS 3BR, 4 BATH LOG HOME SET ON THE SHORE OF LAKE SUPERIOR IS TRULY BREATHTAKING INSIDE AND OUT! FEATURES INCLUDE 3 FIREPLACES CUSTOM TILED . . . 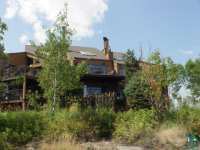 PRIVATE NORTHWOODS HOME WITH SOARING LAKE SUPERIOR VIEWS AND BEACH ACCESS! YOU KNOW YOU’VE ARRIVED SOMEWHERE VERY SPECIAL WHEN YOU COME TO THIS PROPERTY WITH 3+/- . 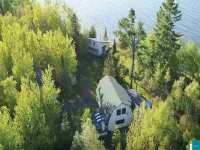 . .
LARSMONT COTTAGES, THE MOST SUCCESSFUL SHARED OWNERSHIP DEVELOPMENT IN MINNESOTA, IS A PRIVATE 40-ACRE RESORT LOCATED ON 1300' OF LAKE SUPERIOR SHORELINE. THIS . . .
WHAT A PRICE FOR 13 WEEKS A YEAR AT LARSMONT COTTAGES! THIS "RARELY AVAILABLE" 2BR/3BA LAKESIDE . . . 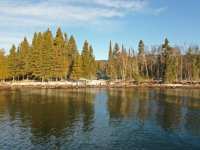 LOOKING FOR A BIG LAKE GETAWAY NEAR GRAND MARAIS? HERE IS AN AFFORDABLE PLACE! 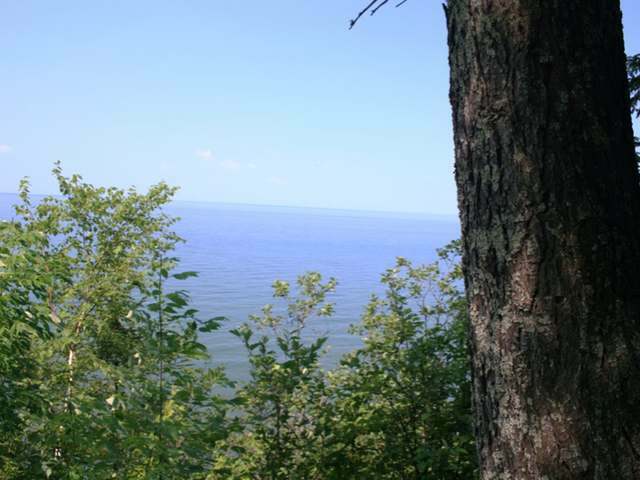 START WITH AN IMPRESSIVE VIEW OF LAKE SUPERIOR HIGH ON A BLUFF PLUS YOUR OWN BEACH TO HANG . . .
1/4 SHARE OWNERSHIP OPPORTUNITY AT LARSMONT COTTAGES. THE MOST SUCCESSFUL SHARED OWNERSHIP DEVELOPMENT IN MINNESOTA IS A PRIVATE 40-ACRE RESORT LOCATED ON 1,300 FEET OF . 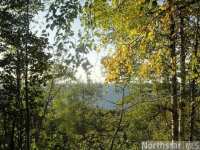 . .
LAKE SUPERIOR 1 ACRE WATERFRONT HOMESITE #1 HAS 175 FEET OF FRONTAGE WITH YOUR FUTURE VIEW TO BE . . .
LAKE SUPERIOR LOVERS, HERE'S YOUR CHANCE TO OWN ON THE BIG LAKE THEY CALL "GITCHE GUMEE" AT A GREAT VALUE. THIS PARCEL FEATURES 202 FEET OF SAND BEACH WITH SPECTACULAR . . .
LAKE SUPERIOR LOVERS, HERE'S YOUR CHANCE TO OWN ON THE BIG LAKE THEY CALL "GITCHE GUMEE" AT A GREAT VALUE. THIS PARCEL FEATURES 200 FEET OF SAND BEACH WITH SPECTACULAR . . . THIS ASPEN PLAN IS THE PERFECT WEEKEND GET-AWAY COTTAGE! 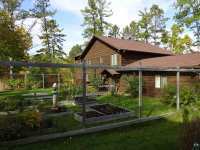 LOW MAINTENANCE, COZY AND EFFICIENT - YOUR NORTHWOODS ESCAPE AWAITS! 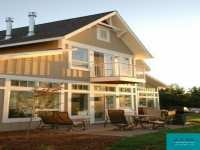 LARGE ENCLOSED SCREENED-IN PORCH AND . . . 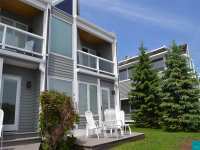 THIS LOVELY 2 BEDROOM CONDOMINIUM IS LOCATED AT BURLINGTON BAY AT SUPERIOR SHORES RESORT. 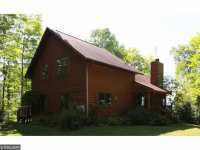 IT FEATURES 3 GAS FIRE PLACES, 2 FULL BATHS AND A DECK OVER LOOKING LAKE . . .
LAKE SUPERIOR LOVERS, HERE'S YOUR CHANCE TO OWN ON THE BIG LAKE THEY CALL "GITCHE GUMEE" AT A GREAT VALUE. 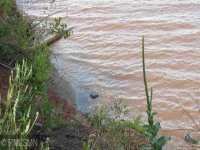 THIS PARCEL FEATURES 207 FEET OF SAND/SHALE BEACH WITH . . .
SANDY LAKE SUPERIOR FRONTAGE AT ITS BEST! 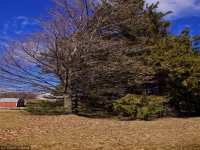 ABSOLUTELY BEAUTIFUL, WOODED LOT, WITH 200 FT SANDY . . . 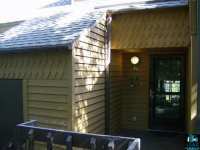 THIS IS A 1/4 SHARE FRACTIONAL OWNERSHIP IN A 3 BEDROOM COTTAGE. 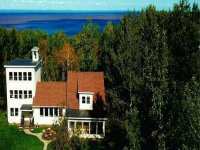 LARSMONT COTTAGES, IS A 40-ACRE RESORT LOCATED ON 2000' OF LAKE SUPERIOR & LOCATED ONLY 20 MIN FROM . . . 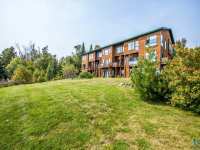 HERE'S A BEAUTIFULLY UPDATED BAYFIELD 1-BEDROOM CONDO NEXT TO LAKE SUPERIOR, A GORGEOUS BEACH & A SMALL MARINA. ENJOY LAZY MORNINGS OR EVENINGS ON THE LAKESIDE DECK . 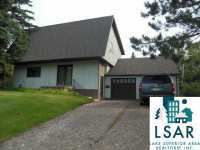 . .
1/6 SHARE OWNERSHIP IN THIS LOVELY HOME, MAKES LAKE SUPERIOR LIVING TRULY AFFORDABLE. THIS 3BR, 4 BATH LOG HOME IS BREATHTAKING INSIDE AND OUT! 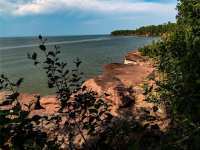 FEATURES INCLUDE 3 . . .
LAKE SUPERIOR IS THE LARGEST FRESHWATER LAKE IN THE WORLD 31,820 SQ. MI. THIS 150 FT. 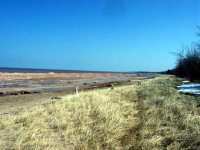 LOT HAS A BEAUTIFUL SANDY BEACH AND A NUMBER OF NICE BUILDING SITES TO CHOOSE FROM. . . . LOOKING FOR A SUMMER GETAWAY ON MADELINE ISLAND WITHOUT ALL THE FUSS OF MANAGING? THIS CONDO HAS IT ALL! FULLY FURNISHED END UNIT ON THE MAIN LEVEL. RENTAL INCOME . 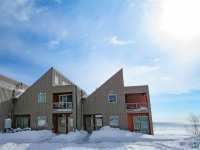 . .
SECOND FLOOR TWO-BEDROOM LODGE CONDOMINIUM AT SUPERIOR SHORES. LOCK-OUT DESIGN MEANS THAT THE UNIT CAN BE OCCUPIED AS A TWO-BEDROOM OR INDEPENDENTLY AS A ONE-BEDROOM AND . . . 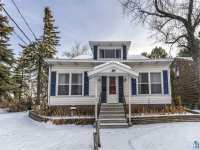 IDEAL LUTSEN LOCATION! 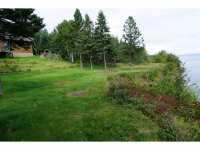 MINUTES FROM THE SKI HILL, LAKE SUPERIOR, THE GOLF COURSE AND NUMEROUS SNOWMOBILE, HIKING AND CROSS COUNTRY TRAILS. LOCATED IN A QUIET AND PRIVATE . 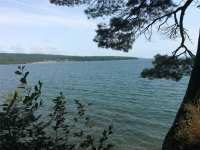 . .
ALL LOTS W/ LAKE SUPERIOR VIEWS! 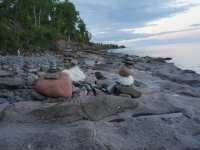 LOCATED NORTH OF GOOSEBERRY STATE PARK, SPLIT ROCK LIGHTHOUSE &AMP; SOUTH OF LUTSEN SKI RESORT. LESS THAN 2 MILES FROM THE SILVER BAY . . .
QUARTER SHARE OWNERSHIP AT LARSMONT COTTAGES. 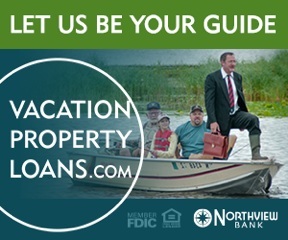 THE MOST SUCCESSFUL SHARED OWNERSHIP DEVELOPMENT IN MINNESOTA IS A PRIVATE 40-ACRE RESORT LOCATED ON 1,300 FEET OF LAKE . 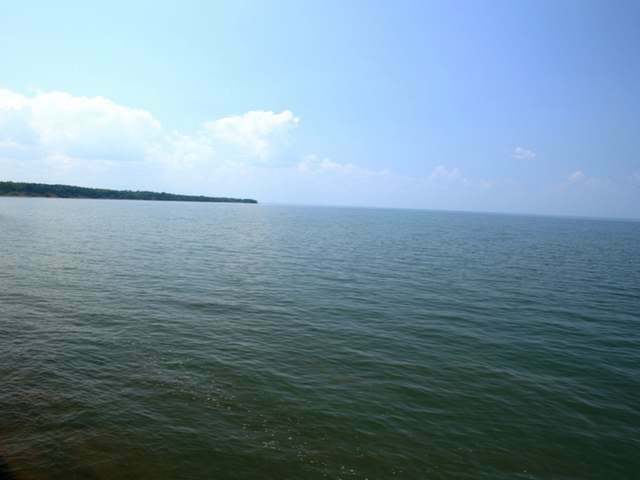 . .
BEAUTIFUL LAKESHORE LOT WITH EXPANSIVE PANORAMIC VIEWS OF THE NORTH SHORE AND BEYOND! 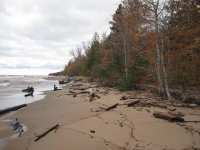 LOW TO MEDIUM BANK PROVIDES EASY ACCESS TO SAND BEACH ON LAKE SUPERIOR. NICE . . .
CHATEAU LEVEAUX IS A LAKE SUPERIOR DESTINATION RESORT LOCATED BETWEEN LUTSEN AND TOFTE. NESTLED IN THE HEART OF THE SAWTOOTH MOUNTAIN RIDGE, ENJOY THIS COZY AND RELAXING . . . 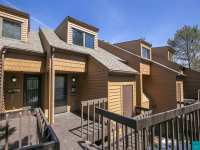 THIS COZY TWO BEDROOM + LOFT TOWNHOME, THAT CAN ACCOMODATE 8-10 PEOPLE, HAS MANY SPECIAL FEATURES: FULL KITCHEN, LIVING ROOM WITH LARGE STONE FOREPLACE, LARGE DECK THAT . 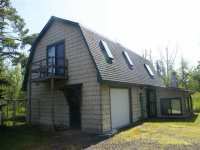 . .
INTERVAL OWNERSHIP OF A ONE-BEDROOM PLUS LOFT, THREE BATH LAKEHOME AT SUPERIOR SHORES RESORT. THIS SPECTACULAR UNIT SITS ON THE TIP OF THE POINT AND FEATURES VAULTED . 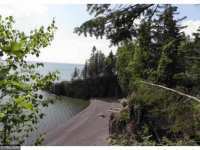 . .
ALL LOTS WITH LAKE SUPERIOR VIEWS! LOCATED NORTH OF GOOSEBERRY STATE PARK, SPLIT ROCK LIGHTHOUSE AND SOUTH OF LUTSEN SKI RESORT. LESS THAN 2 MILES FROM THE SILVER BAY . . .
GREAT FIVE ACRE PARCEL BACKING UP TO STATE LAND AT THE END OF A CUL-DE-SAC. 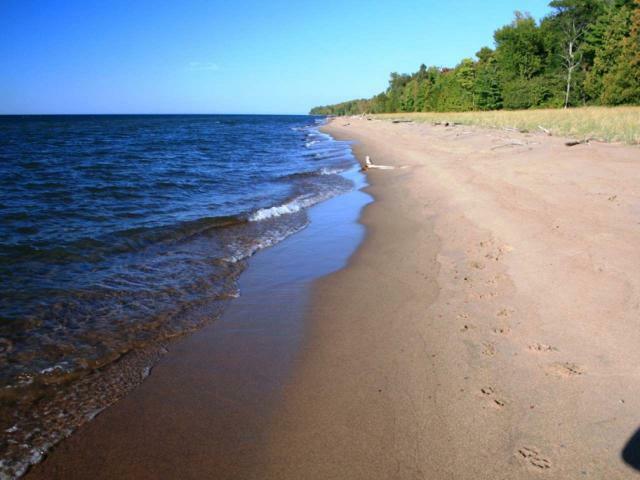 PERFECT HALF-MILE DISTANCE FROM LAKE SUPERIOR WITH BEAUTIFUL LAKE VIEWS. BUILDING SITE IS . . .
1/8 SHARE; BEAUTIFUL 3 STORY LAKEHOME WITH GREAT LAKE VIEW FROM LIVING ROOM, FAMILY ROOM & LOFT SLEEPING ROOM. LAKESIDE DECK ON MAIN FLOOR & DIRECT ACCESS TO THE LAWN & . 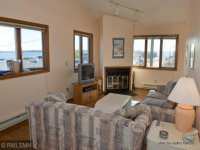 . .
INTERVAL OWNERSHIP OF A TWO-BEDROOM, TWO BATH LAKEHOME AT SUPERIOR SHORES RESORT. THIS SPECTACULAR CORNER UNIT FEATURES VAULTED CEILINGS WITH SKYLIGHTS, FIREPLACE, . 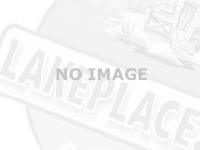 . .
INTERVAL OWNERSHIP OF A TWO-BEDROOM, TWO BATH LAKEHOME AT SUPERIOR SHORES RESORT. THIS SPECTACULAR UNIT FEATURES VAULTED CEILINGS WITH SKYLIGHTS, FLOOR TO CEILING . 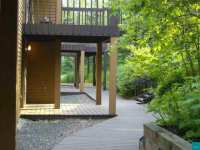 . .
1/8 SHARE; EXCEPTIONAL LAKE VIEW WITH GROUND LEVEL DECK. LIVING AREA AND MASTER BEDROOM HAVE LAKE VIEW. FEATURES SPACIOUS MASTER BATH, WITH LARGE WHIRLPOOL TUB, KNOTTY . . .
1/8 SHARE; EXCEPTIONAL VIEW. FULLY FURNISHED. 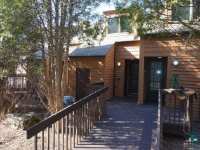 INCLUDES SHARED USE OF OUTDOOR POOL, SPA, TENNIS COURTS, HIKING TRAILS, 45+ ACRES OF WOODLANDS AND 1/2 MILE OF LAKE . . . EXCEPTIONAL LAKE SUPERIOR VIEW! UPDATED WITH NEW CARPET, SKYLIGHTS AND GAS FIREPLACE. NEW AIR CONDITIONING. SHARED USE OF 1/2 MILE OF SHORELINE AND NEARLY 50 ACRES OF . . . THIS LOVELY TWO BEDROOM TOWNHOME, THAT CAN ACCOMMODATE 8 TO10 PEOPLE, HAS MANY SPECIAL FEATURES: FULL KITCHEN, LIVING ROOM WITH LARGE STONE FIREPLACE, DECK THAT . . .
FOR PERSONAL VACATION USE OR NIGHTLY RENTAL AT POPULAR RESORT. 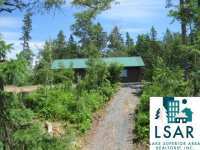 SHARED USE OF 1/2 MILE OF LAKE SUPERIOR SHORELINE, 45 ACRES OF WOODLANDS WITH HIKING TRAILS. OUTDOOR POOL . 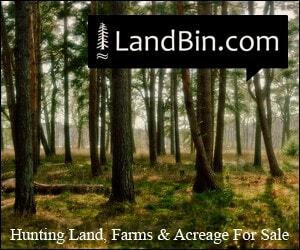 . .
ASSOCIATION FEES $207/YR WHICH COVERS PLOWING, ROAD MAINTENANCE, TAXES AND INSURANCE ON COMMON PROPERTY. 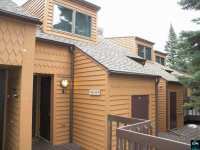 ONE-EIGHTH OWNERSHIP OF A ONE-BEDROOM/ONE-BATH LAKEHOME AT SUPERIOR SHORES RESORT. THIS SINGLE LEVEL UNIT FEATURES A BEDROOM WITH KING BED, FULL BATH, KITCHEN, LIVING . . .
INTERVAL OWNERSHIP OF A ONE-BEDROOM, ONE BATH LAKEHOME AT SUPERIOR SHORES RESORT. THIS COZY UNIT FEATURES A WHIRLPOOL, FIREPLACE, AND ONE OF THE BEST VIEWS ON THE . 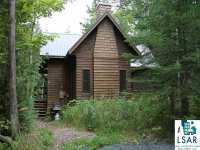 . .
13 Listings in Cornucopia WI ..
7 Listings in Ironwood MI ..
10 Listings in Ontonagon MI ..
2 Listings in Orienta WI ..
2 Listings in Southrange WI ..
11 Listings in Superior WI ..
8 Listings in Tofte MN ..